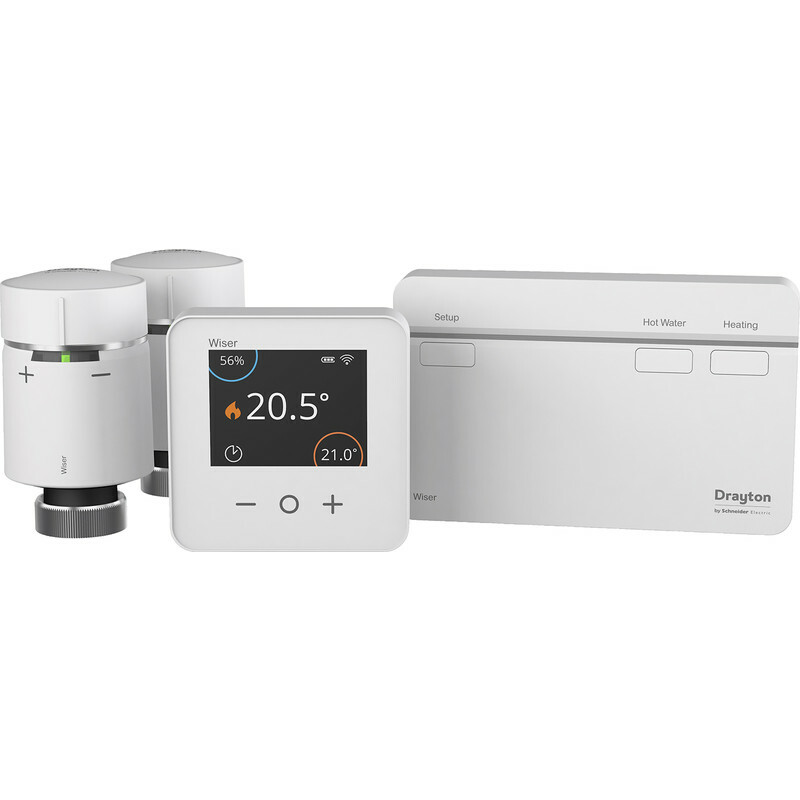 Drayton Two channel thermostat system with two radiator thermostats to start zoning your system. Suitable for conventional boilers. Set schedules for the room thermostat, radiator thermostats and hot water via the Wiser Heat app. Add more radiator valves to create more independent zones.